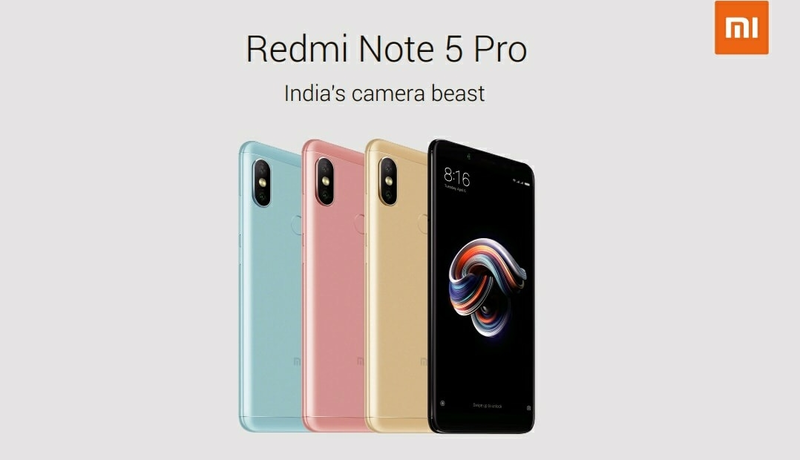 Xiaomi has launched the successors to their highly successful Redmi Note lineup, the Redmi Note 5 and Redmi Note 5 Pro. The Chinese manufacturer, which recently caught up with Samsung in terms of quarterly sales in the country, is leaving no stones unturned to woo the budget oriented market. Though the Redmi Note 5 turned out to be as expected, the Note 5 Pro brings in many more features. Both the phones have many similar specifications, except for the processor, cameras and memory options. The Note 5 and Note 5 Pro will sport 5.99 inches 18:9 displays with a resolution of 2160x1080 pixels (403 ppi). The screens will have, Gorilla Glass protection, 2.5D curvature as well as rounded corners. The design language is similar to previous Redmi Note smartphones, with a rear mounted fingerprint sensor. 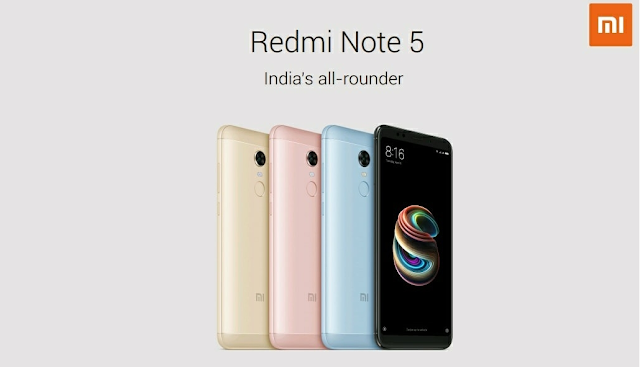 Redmi Note 5 comes in two variants, 3GB+32GB and 4GB+64GB, while the Pro version comes in 4GB+64GB and 6GB+64GB. Xiaomi's love story with Snapdragon 625 enters a new episode with the Note 5, and the Note 5 Pro sports a Snapdragon 636 processor. Although the 625 is a good performer, but it's still an almost 2 year old chipset, so that's a bit disappointing. Talking about disappointments, both the smartphones will run on MIUI 9 based on Android Nougat. Redmi Note 5 has a single camera at the back with a 12 MP f/2.2 sensor equipped with PDAF. The front camera is a 5 MP sensor with LED flash to assist in low light conditions. The Pro version has an upgraded set of optics, with dual lens at the rear. A similar 12 MP sensor is coupled with a 5 MP f/2.0 sensor. The placement of the dual lens is a rip-off of iPhone X, and Xiaomi isn't even going subtle about it. The dual camera will give you "focused foreground and creamy blurred backgrounds" according to Xiaomi. The Mi A1 which was launched last year had a very good camera with one of the best bokeh effects in the price segment, so we can expect very good images from Note 5 Pro. The front camera is a 20 MP one with LED flash as well. At least on paper, Xiaomi seems to be trying to give a great set of cameras, which were probably the only downside of previous generation Redmi Notes. A 4000 mAh battery will be powering the smartphones, and here comes the last bit of disappointment. Both the smartphones have hardware which supports fast charging, and given the size of the batteries, it would have been a great feature. But there's no fast charging and no USB Type-C as well.